This past holiday season was very much a mixed bag for me. But there was some "In the Mail Awesomeness" that I couldn't resist sharing! Ƹ̵̡Ӝ̵̨̄Ʒ - Writing became one more 'to do' on my plate that I just didn't have very much energy for at the end of the day. Very long, long, long days which are still not totally back to normal, but getting there. Ƹ̵̡Ӝ̵̨̄Ʒ - Not to mention I can't remember the last time I took a picture and did photography just for fun and my own memories and not for work. When I did give myself some time to roam on the interwebs, it paid off! Ƹ̵̡Ӝ̵̨̄Ʒ - I stumbled upon the Lands End Marathon Twitter Party this year (which I would love to co-host someday myself) and ended up winning a $50 Gift Card! YAY ME! They host this twitter party marathon every year, and while I have participated each time this is the first time the randomizer Gods were smiling down upon me and I actually won. Ƹ̵̡Ӝ̵̨̄Ʒ - A friend shared a contest entry on her Facebook page as a status update and I entered a weekly contest for Restonic and I won a $100 Target Gift Card. I have a superstore near me and I can't wait to put a dent in that card! 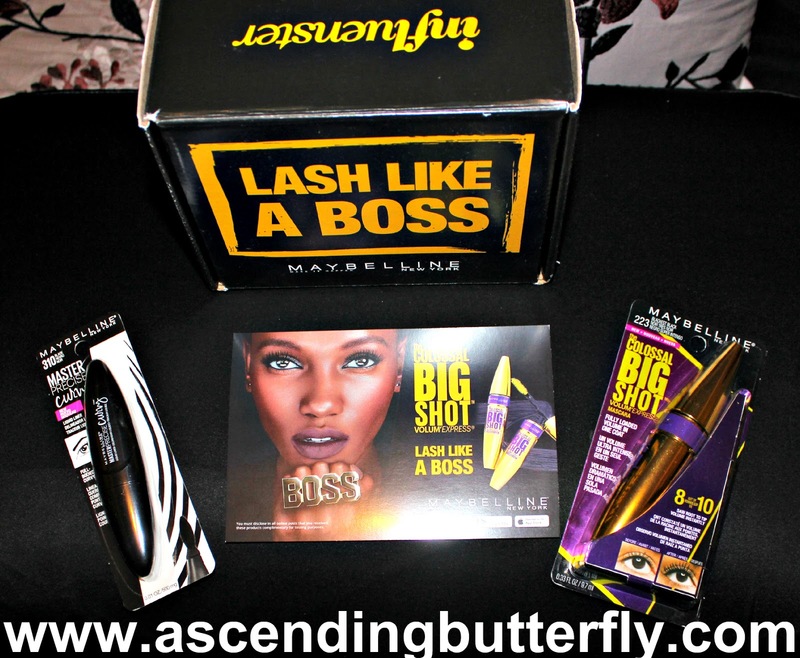 Ƹ̵̡Ӝ̵̨̄Ʒ - I qualified for an Influenster #BigShotMascara Vox Box and it arrived with the Colossal Big Shot Volum' Express Mascara #223 'Blackest Black' but also included a really neat bonus: Maybelline New York Master Precise Curvy liquid eyeliner #310 'Black' color - I must admit Vox Box is one my oldest box programs and I stick with them for good reason, so far their boxes have never disappointed me in any way. They always curate a great mix of cult classics and 'new to me's' that always end up getting added to my purchase list. Tatcha Indigo Soothing Silk Body Butter - contains indigo extract as well as colloidal oatmeal - allure calls it the 'cashmere onesie of body creams' YAS!!!! Mally Volumizing Mascara - I will have to have a 'Mascara Off' and do one eye with the one I received from Influenster and the other eye with this one and see which one gives me the eyelashes with the most beautiful volume. 'Flirty Eyes Here I Come!' - I see you 2017! Because just like Jody Watley sings 'I'm looking for a new love baby, a new love....' - so I am fixing to get my flirty self all 2.0 for 2017. Klorane Dry Shampoo with Oat Milk - I like the gentle scent on this one, the scent doesn't linger and isn't over powering at all. I haven't torn into all of these new products yet and will do individual reviews of products once I have had a chance to thoroughly test them, these are mostly initial impressions. It was nice to have "Beauty-Claus" pay a visit during a holiday season where the last thing I was thinking about was myself. I think maybe it is the Universe trying to remind me to take some time for myself no matter what may be going on around me. Readers Sound Off: What was your favorite gift from Santa this Christmas? Or if you are totally over the holidays, which of these products would you most like to try? FTC Disclosure: This is a Sponsored Post, all products were provided to me free of charge for Editorial Consideration and all thoughts and opinions are my own. I am disclosing this in accordance with the Federal Trade Commission 16 CFR, Part 255 - Guides Concerning the use of endorsements and testimonials in advertising, you may check our Giveaway and Disclosure Page for additional information regarding Ascending Butterfly Disclosure. My GF would love that. I'll have to check this out for her. She has a birthday coming up. @Ben - Subscription Services make great gifts! The recipient won't think of you just once, but all year long! How cool is that? I love that you touched on both positives and negatives. Scoring awesome goodies in the mail always makes me happy! I love the positive outlook. Sometimes we have to count out the good while still acknowledging the bad. @Meagan - There will always be both good and bad times, it is important to remember you will always land on your feet. And I always do. I'm sorry that you lost a family member and have another one under the weather. At least you had some good things happen as well! Sorry for the loss of your family member! It does sound like you've had a lot on your plate, so I do hope you take some time just for you and enjoy all of your beauty goodies! @Theresa - That is just what these deliveries reminded to do - take a bit more time for myself. And beauty goodies is definitely a great way to start. I'm sorry that you had to go through all that. I wish 2017 will bring you great opportunities. For these products, I think I would love to try the conditioning mask for hair. Sounds awesome! @theamazingjenni - I'm always on the hunt for the latest and greatest when it comes to taking care of these tresses that usually very much have a mind of their own! I'm sorry for the minuses and happy for your pluses. I hope your days get back to normal soon and your family member is home and back to 100% soon as well. Happy New Year! I am so sorry for your loss. I know how difficult it is to lose a family member. I wish I could give you a hug right now. Just keep in mind that everything will be alright. Hang on tight! Suffering the loss of a family member is always difficult. Your positive outlook and attitude will make this much easier. Plus, something cool came out of it! My favorite gift from the Holidays is my Instant Pot. I have been doing a lot more cooking since I got it. @Ann - What is an 'instant pot' is that like crockpot? I a sorry for your loss. I lost my mom 3 years ago at Christmastime. It was hard. I hope you are on the mend now. Last year, I had major back surgery two days before Christmas. It was rough and the first few weeks on January 2016 was a blur. It will all be a distant memory one day. My daughter would love all the make up goodies. @Christy - It wasn't me that had surgery it was Mama Butterfly, thankfully the last time I saw the inside of a hospital for myself was 2011 and I am working super hard on keeping it that way. I am sorry about your family! I hope this year is better for you! Thanks Reesa, working very hard to make it one. Subscription services are so convenient. I think these are so smart - there is always one for every person! @Karissa - I can't resist trying out a new subscription box! There's always a little something something for everyone, and they are great for 'hard to buy fors' on your list! Glad to hear Santa treated you nice Lyndee! 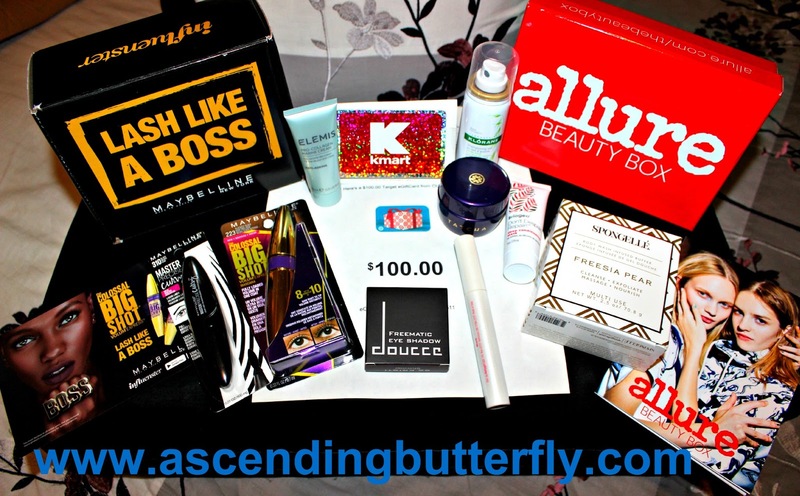 Some were wins some were influencer/blogger products to review. Sorry for your loss. And sounds like you had a pretty busy month. I love Influencer box, haven't been able to claimed mine. @Rika I love that with Influenster you don't have to be a blogger, I have been with them since their inception and wasn't blogging on my site when I started with them and still got great product boxes to try.